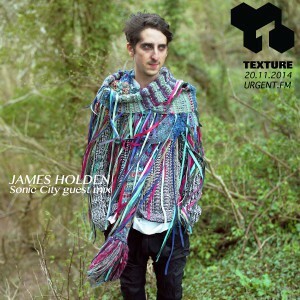 In anticipation of James Holden’s performance at Sonic City and his guest mix in Texture Radio, here are a few names and acts you don’t want to miss during that weekend. 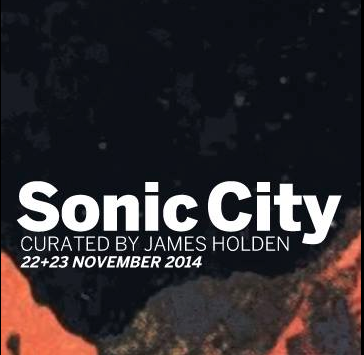 Sonic City is one of belgium’s best kept secrets. The 2-day festival can’t be categorised in one specific genre because it has every year another curator, which makes it exciting and unique. No wonder some call it the belgian cousin of All Tomorrow’s Parties. Last year, Sonic City was curated by Geoff Barrow (Portishead, Beak) and brought some excellent artists to De Kreun in Kortrijk, like Dirty Beaches, Connan Mockasin, Savages & Adult. Also James Holden performed live that weekend. This year the festival takes place on the 22nd and 23rd of November and they asked James Holden to work out the line-up. The result? A list of cutting edge names like Neneh Cherry , Pional, Koreless, Nathan Fake, Luke Abbott, Zombie Zombie and of course the Border Community man himself. To get already in the mood, a Sonic City special by James Holden will be broadcast this thursday 20.11 on Texture (urgent.fm / 105.3 fm)! Listen to the mix right here.